A thief charged about $6,000 to an 84-year-old man’s stolen debit card in the Diamond District, the NYPD said. MIDTOWN — A thief charged approximately $6,000 after stealing a man’s debit card from an ATM, the NYPD said. The victim, 84, was using the ATM inside a Bank of America at 1680 Broadway, between West 52nd and 53rd streets, around 3 p.m. on Jan. 3 when the suspect offered to help him, police said. After making his transaction, the 84-year-old man left the card inside the machine, the NYPD said. The thief then took the card and used it to make about $6,000 worth of purchases in the Diamond District, police said. An NYPD spokesman could not say where specifically the suspect made the purchases or what he bought. 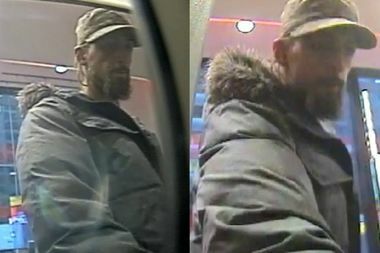 The suspect was described as weighing approximately 190 pounds, standing 6-foot-2, with a scruffy beard, a fur-trimmed hooded jacket and a military-style hat. A Bank of America spokeswoman on Tuesday declined to comment on the theft, but said customers are "generally... protected against fraudulent transactions on their cards with [Bank of America's] zero liability guarantee when transactions are reported promptly."